We want to inform our donors as well as possible. Therefore, if you wish, we would like to send you photos and news targeted your special donation so you are kept up to date with your project, from start to finish. With your donation of ENERGY-SAVINGS stoves you contribute to stop forest felling and reduce erosion and lung diseases as well as the consumption of wood/charcoal. 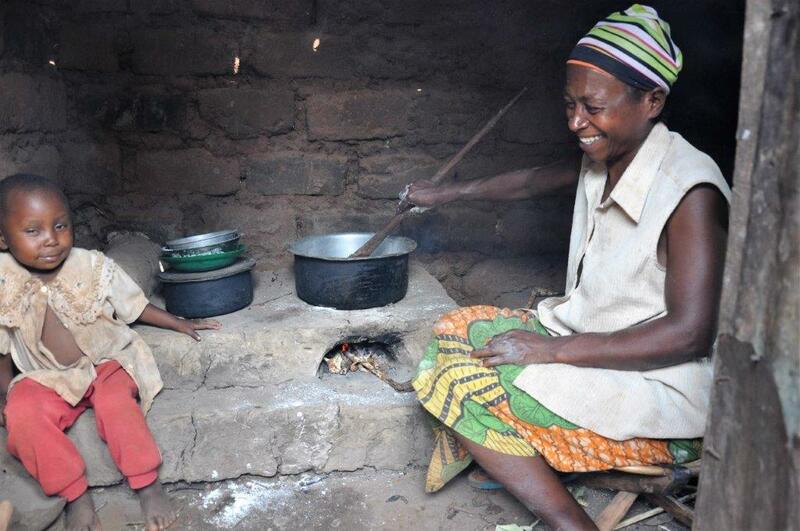 Kitchen smoke from traditional cooking over fire in small huts is one of the biggest killers in Burundi with women and children as the most vulnerable. Price: 1 stove: 15 US Dollar. Minimum purchase: 4 stoves = 60 US Dollars. 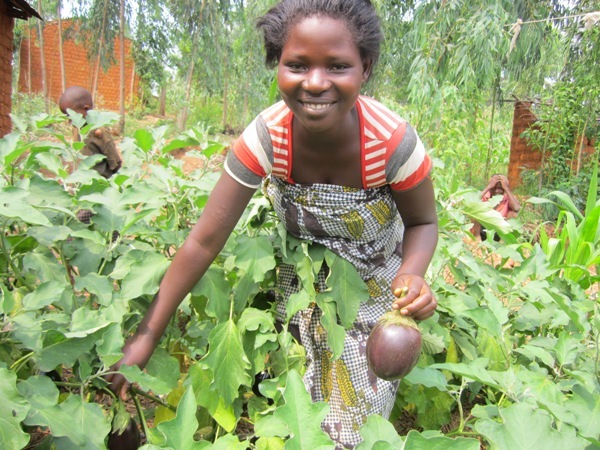 With your donation of KITCHEN-GARDENS you contribute to raise the state of nutritional and provide families with more food, such as aubergines, tomatoes, onions and cabbage. The gardens are extremely popular, especially among the women who are very aware of the important mineral and vitamin supplements from vegetables. Price: 1 garden 42 US Dollars. With your donation of WASHABLE FEMININE PADS you contribute to woman can continue work, and girls goes to school in their monthly menstrual cycles. The lack of feminine hygiene products brings women and girls using paper, leaves, old clothes and other materials, which are unhygienic and cause infections. Another problem is that girls lose more school days a month, which naturally means that they have less education than boys and risk being maintained in traditional gender patterns as they grow older. The pads come with a bag and a bar of soap. Job creation: 5 sewing girls. Price: 1 set of pads: 5 US Dollar. Minimum purchase: 10 set = 50 US Dollars. In Burundi, there are many schools that do not have access to drinking water. This means that the students have to walk many kilometers each day to find water. Often the water is dirty and makes the children sick. The consequence is absence and poor learning. With your donation of a WATER TANK you contribute to reduce the children's absence from school and to increase their learning skills. 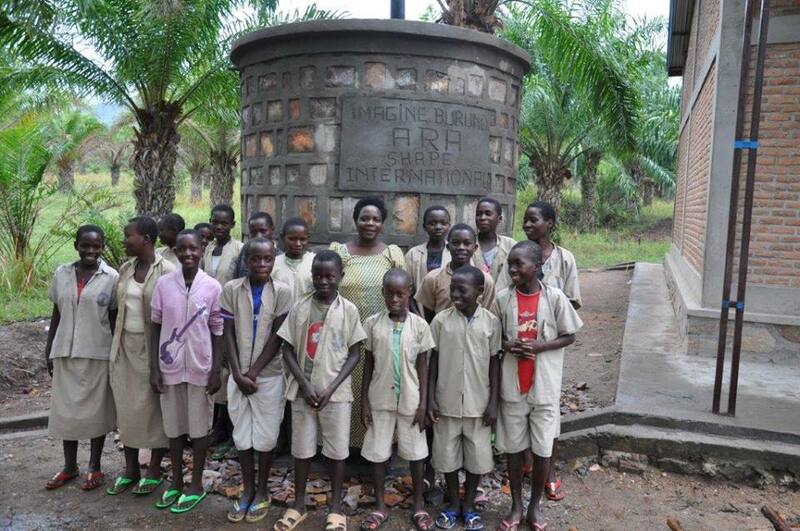 The water tank holds 4500 liters, and will provide water daily to an average school of 700-1000 students. Job creation: 1 engineer, 3 masons. With your donation of a WATER KIOSK you contribute to give a job to young girls dropped out of school because their parents can not afford to pay for schooling. The work as a kiosk manager means that the girls maintain some of the skills they learned at school. The girls earn money, can make a saving, and be a respected part of the community. 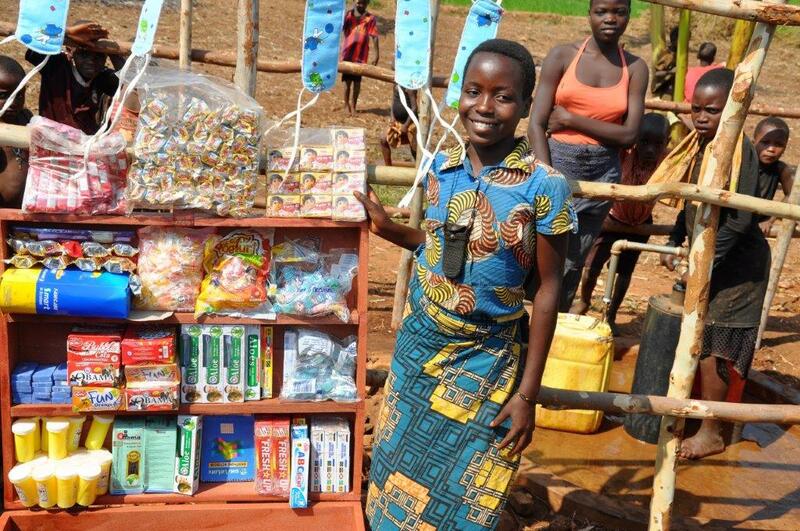 The kiosk sells: soap, toothpaste, toothbrushes, menstrual binders, healthy snacks, vitamins and other health products. Most of the products are produced in the local area. With your donation of SCHOOL SOAP you contribute to give school children a good personal hygiene. This means that the children's health situation improves significantly, which in turn means that they are not absent from school, are more concentrated and get better grades, which increase their chance of getting jobs later in life. 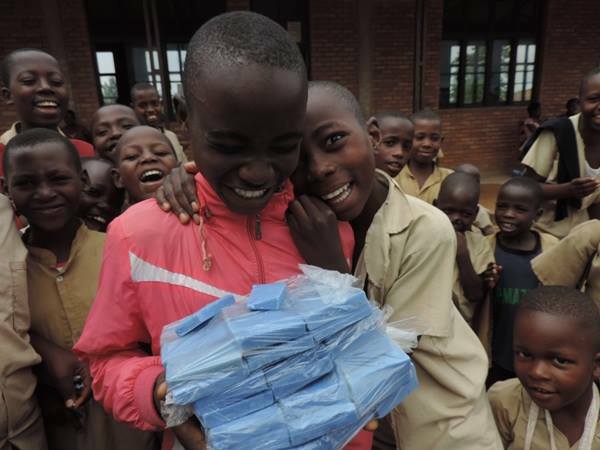 Your donation of soap will be delivered to the schools of Imagine Burundi, which also gives the children instruction in proper hygiene. The school soap has a unique blue color that ensures that the soap can not be resold on local markets. 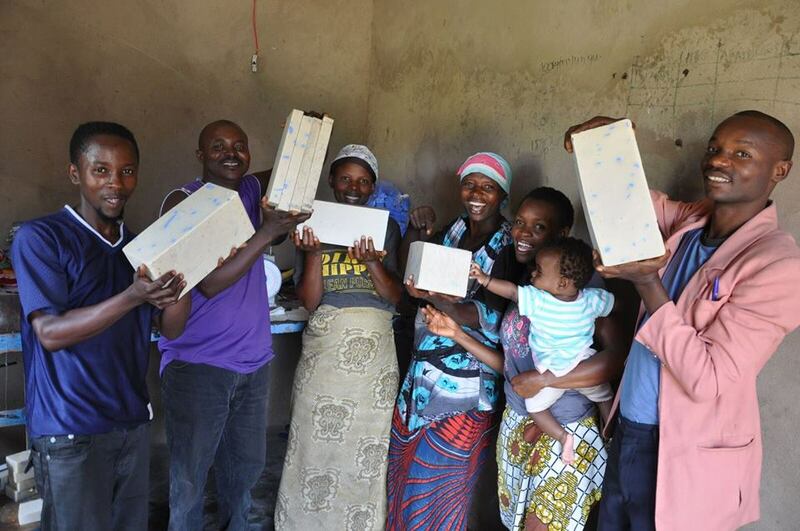 The soap, handmade, is produced by Imagine Burundi's soap team. Job creation: 5 soap makers. Minimum purchase: 1000 bars = 130 US Dollars. With your donation of a complete SOAP SHOP/FACTORY you can make a difference for thousands of people. You create energy and entrepreneurship in the community while ensuring that people have access to soap, both for personal hygiene and for household use. Your donation includes: Building a 18 kvm. big factory constructed with brick, cement flooring, all the materials needed to make soap and training of the new soap makers done by an experienced soap maker. The donation also includes a startup package consisting of oil, color and acid that ensures that the soap factory is sustainable from day one after end training. Thank you for your consideration of supporting / donating to our sustainable projects. We are at your service, looking forward to hear from you, your company / organization and looking forward to tell you more about the sustainable development project you have chosen or are considering choosing. All your questions are welcome.